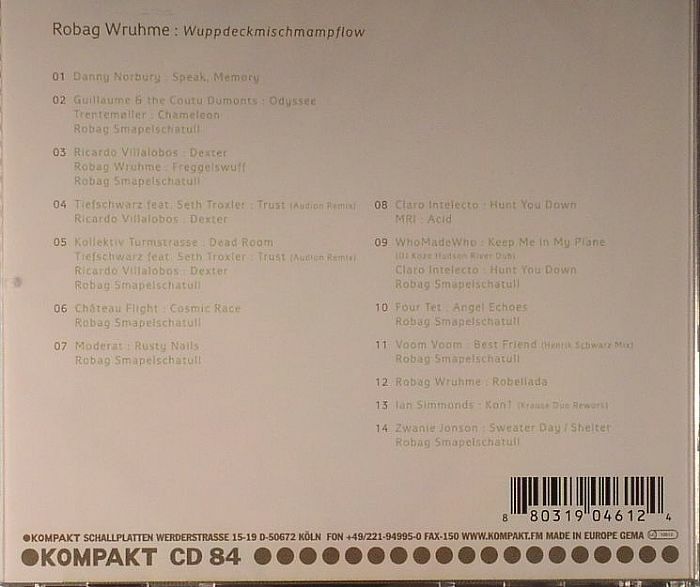 Robag WRUHME/VARIOUS Wuppdeckmischmampflow vinyl at Juno Records. 1. Danny Norbury - "Speak, Memory"
2. Guillaume & The Coutu Dumonts/Trentemoller - "Odyssee/Chameleon"
3. 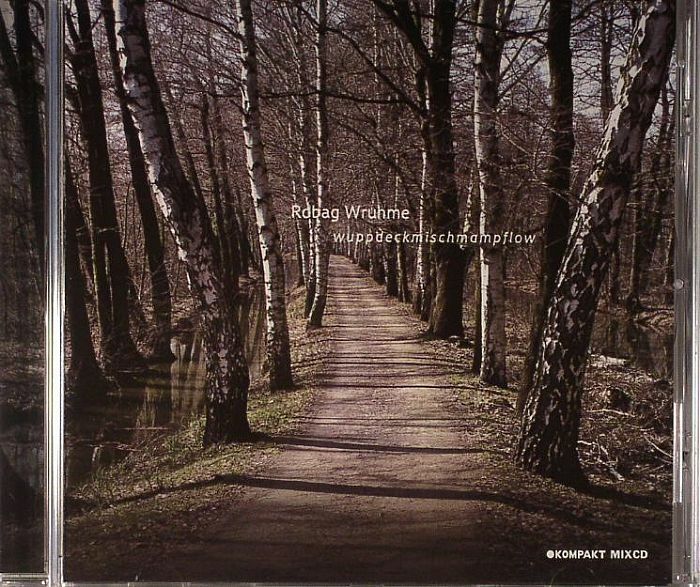 Ricardo Villalobos/Robag Wruhme - "Dexter/Freggelswuff"
6. Chateau Flight - "Cosmic Race"
7. Moderat - "Rusty Nails"
8. Claro Intelecto/MRI - "Hunt You Down/Acid"
9. WhoMadeWho/DJ Koze Hudson River Dub/Claro Intelecto - "Keep Me In My Plane/River Dub/Hunt You Down"
10. Four Tet - "Angel Echoes"
12. Robag Wruhme - "Robellada"
14. Zwanie Jonson - "Sweeter Day/Shelter"
Gabor Schablitzki has long been one of European techno's most underrated talents. Although rightly celebrated within the underground techno community, he's yet to achieve much in the way of wider acclaim, either as a DJ, or for his productions under the more familiar Robag Wruhme and Wighomy Brothers monikers (the latter alongside Soren Bodner). In many ways it's a shame, because his particular take on the German minimal sound - soft, melodic, warm and shuffling, with just a hint of swing to the percussion - is far more attractive than the stripped back darkness favoured by many of his contemporaries. Whether you're a confirmed fan or a first-timer, you'll find plenty to enjoy on Wuppdeckmischmampflow, his first solo DJ mix for Kompakt. 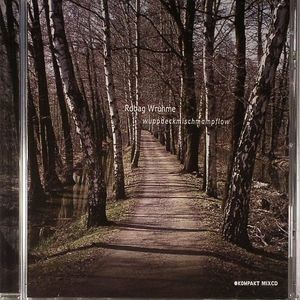 Like 2008's similarly wonderful Wighomy Brothers mix MetawuffmischfelgeA.A., it inhabits a kind of strange no-man's land between DJ mix and production showcase, with individual tracks taken apart, reworked and fused with others to create one smooth, winding hour-long journey. So, for example, tracks by Villalobos, Tiefschwarz and Schablitzki himself merge to make one beautifully melodic whole, before dropping effortlessly into an FX-laden version of Chateau Flight's "Cosmic Race". With tracks by Guillaume & the Coutu Dumonts, Claro Intellecto, Four Tet, Koze, Moderat and Ian Simmonds getting a similar treatment, the results are rarely less than spellbinding.